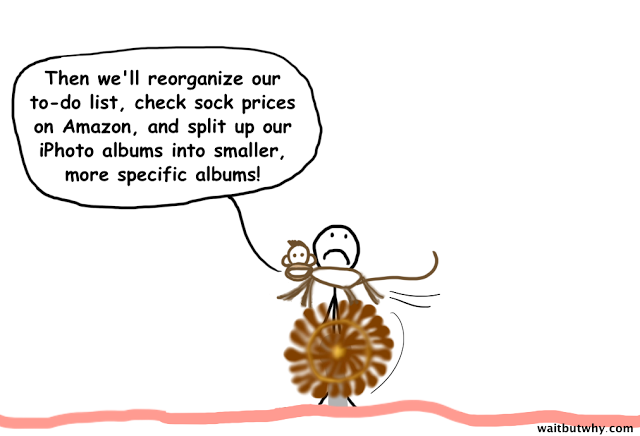 Why people go to buy gift at the last minute; why we want until the house price all raised up to buy a house. 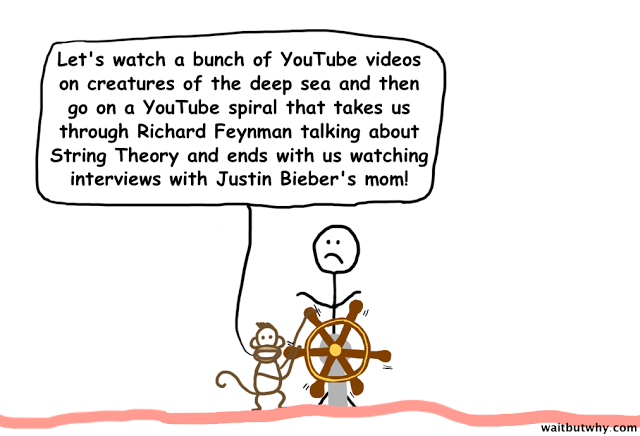 While we can credit the reason to being too busy; to too risky etc. 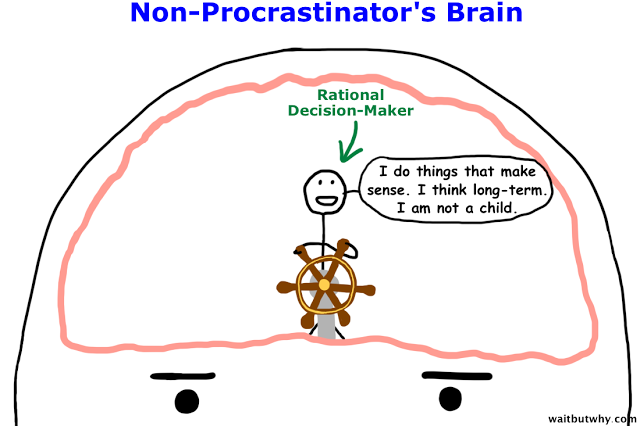 I would encourage you to look at these phenomenon from the procrastination point of view. 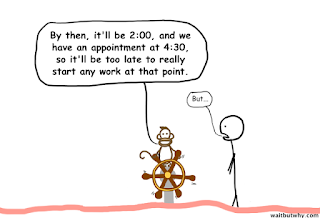 It simply is the action of delaying or postponing something, or postponing the decision to do it or not to do it. I’ve found this concept critical in the digital design world as often, we want the users to take certain action, it can be to subscribe to our newsletter, to buy certain product, to donate to charity, to click on and watch a video. And we certainly don’t want them to delay what they are going to do. 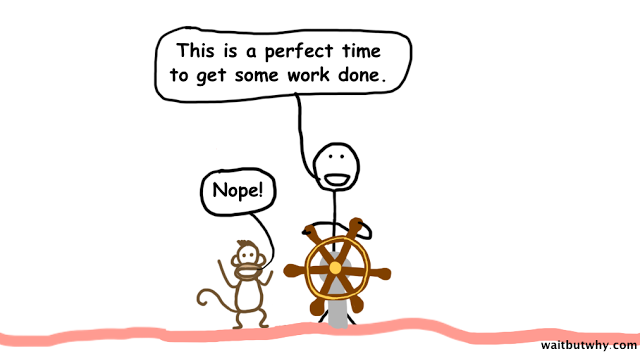 To make effective design, we have to design against procrastination. 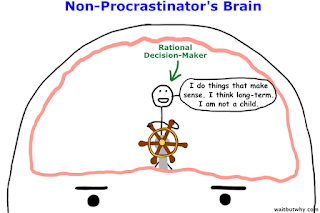 A non-procrastinated brain does what it should do. 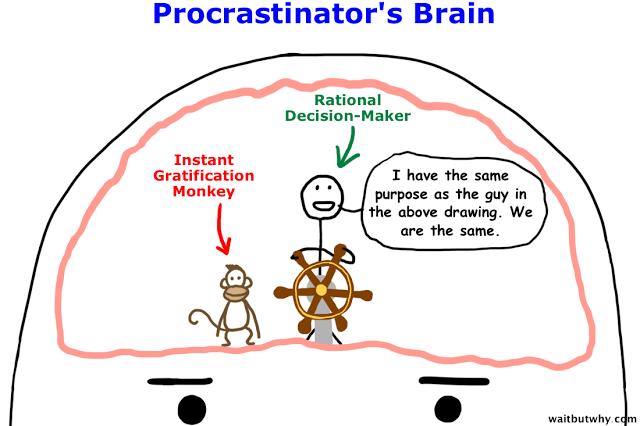 But the reality is, the rational brain coexist with an instant gratification monkey. 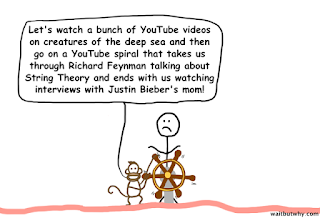 The monkey will constantly distract the brain from carrying out and complete its current task. 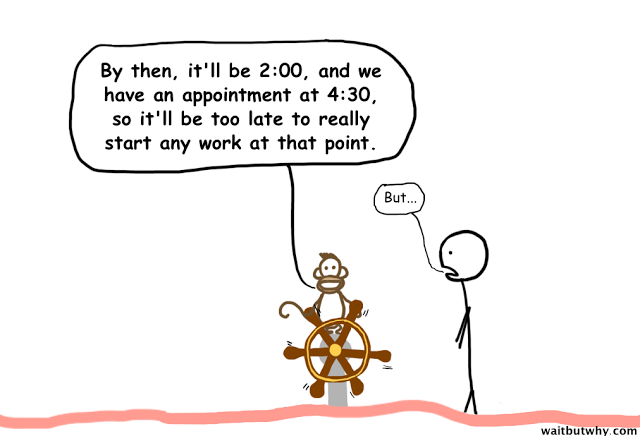 Tim Urban said in the WaitbutWhy article, the only thing that the instant gratification monkey is scared of is the Panic monster. Panic Monster came into play when some scary consequence is bout to happen. 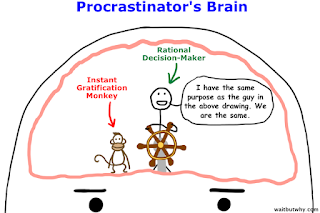 It puts the rational brain back in its orbit and chase away the instant gratification monkey. This is not an healthy way through as it involve a lot of stress and the quality of the deliverables are not good sometimes. 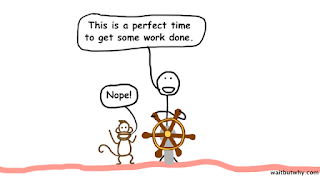 So why the decision maker don’t just get control of the monkey? The root causes lay in his lack of confidence that he is able to do so. Thus the solution comes from empowerment. Last, they need to know what happens next; this point is often over-looked by the product team and even marketing, but in many cases, missing information on what happens next hold users back from completing the task, for instance, users is buying online but they don’t know when the shipping is going to arrive, users will find it hard to complete the purchase. Doing something necessary is an empowerment. You are doing something right, big credit to you. You can marry this concept of necessity with the feeling of urgency, as we often mistook the need to think about if we need to act on certain things with the need to do it. A good example can be found in the shopping mall discount, we feel it is necessary to check it out does not mean we need to buy it; but we feel that we just need to buy it and it is needed. The more actions we ask our users to take, the harder they will find it to be. Say if you want users to subscribe to your newsletter, a good way will be to implement auto-completion so users don’t need to type in the domain name. If you need users to register on your website or mobile app, use Social sign-up so users can complete registration by simply click on 1 button. Of course, exact how to implement these 4 things depend on the product and feature. While after all, the 4 principles remains.